Professor Alex J. Bellamy is Director Asia Pacific Centre for R2P, Professor of Peace & Conflict Studies, University of Queensland, Non-Resident Senior Advisor, International Peace Institute (New York). 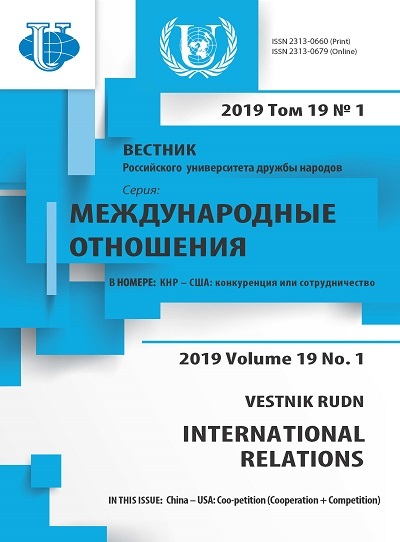 He is the author of Kosovo and International Society [Bellamy 2002], Security Communities and Their Neighbours: Regional Fortresses or Global Integrators? [Bellamy 2004], Understanding Peacekeeping [Bellamy, Williams, Griffin 2004], International Society and Its Critics [Bellamy 2005], Just Wars: From Cicero to Iraq [Bellamy 2006], Fighting Terror: Ethical Dilemmas [Bellamy 2008], Responsibility to Protect: the Global Effort to End Mass Atrocities [Bellamy 2009], Responsibility to Protect: A Defence [Bellamy 2014], Providing Peacekeepers: The Politics, Challenges, and Future of United Nations Peacekeeping Contributions [Bellamy, Williams 2013] and Massacres and Morality [Bellamy 2012]. Alex J. Bellamy is one of the editorial board of Ethics & International Affairs, co-editor of The Global Responsibility to Protect Journal. In his interview, Prof. Bellamy talks about institutionalization of R2P concept that would be able to help in prevention of genocide, war crimes, ethnic cleansing and crimes against humanity. Prof. Bellamy identifies three categories of situations where it’s proving very difficult to protect civilians. Responsibility to Protect (R2P), the United Nations, peacekeeping, Asia Pacific region, Middle East, Syrian conflict, genocide of Rohingya people in Myanmar. - As Professor of Peace and Conflict Studies and Director of the Asia Pacific Centre for the Responsibility to Protect how do you personally appreciate and evaluate the development of the concept since 2005? - The Responsibility to Protect (R2P)1 was agreed by Heads of State and Government at the 2005 UN World Summit2. It was a response to the acknowledged failure of the international community to protect people from genocide and other mass atrocities in Rwanda and Bosnia. Genocide and other atrocities truly shock the conscience of humankind and world leaders came together to commit themselves to doing better to prevent these crimes and protect vulnerable populations from them. More than a decade on, efforts to implement the principle have yielded mixed results. Things have progressed most on the normative and political fronts. Thanks in large part to the annual sequence of UN Secretary-General’s Reports3 and General Assembly dialogues since 20094, political consensus on the meaning and scope of the principal, and commitment to it, have widened and deepened. Only a few states now object to the principle itself. In my region, for example, only North Korea5 rejects R2P as a principle. So we have seen the steady institutionalization of R2P through the engagement of the General Assembly, Security Council, and Human Rights Council, the proliferation of international networks such as the Global Focal Points Network6 which now comprises some 60 state members, and the engagement of regional organizations. But we have done much less well where it matters most - the prevention of genocide, war crimes, ethnic cleansing, and crimes against humanity (I collectively label these ‘atrocity crimes’). There have been notable successes - in Kenya (where Kofi Annan helped mediate an end to post-election violence, framing his work in R2P terms), Guinea (Conakry) (where ECOWAS, the AU, and UN worked together to prevent the escalation of violence after the government opened fire on protestors), and Cote d’Ivoire7, decisive international action helped prevent atrocities. In other cases, we have achieved a mixed record - undoubtedly protecting some people, but leaving others exposed to atrocity crimes, as in South Sudan, Democratic Republic of Congo, the Central African Republic, Libya, and Mali. And then there have been abject failures, where the international community has either stood aside in the face of atrocity crimes or - worse - has contributed to them. Sri Lanka, Syria, Yemen, and Myanmar fall into this category. The challenge we have before us today, then, is that of converting agreement on the principle of R2P into really existing protection for vulnerable populations. No one has the monopoly of wisdom on this, but we need to openly and honestly evaluate past performance and endeavor in good faith to do better. “We the peoples” of the UN demand nothing less. Bellamy, A.J. (2004). Security Communities and their Neighbours. Regional Fortresses or Global Integrators? 1st ed. Basingstoke & New York: Palgrave Macmillan. Bellamy, A.J. (2005). International Society and its Critics. Oxford University Press. doi: 10.1093/0199265208.001.0001. Bellamy, A.J. (2006). Just Wars: From Cicero to Iraq. Cambridge: Polity Press. Bellamy, A.J. (2008). Fighting Terror: Ethical Dilemmas. London: Zed Books. Bellamy, A.J. (2009). Responsibility to Protect: the Global Effort to End Mass Atrocities. Cambridge: Polity Press. Bellamy, A.J. (2012). Massacres and Morality: Mass Atrocities in an Age of Civilian Immunity. Oxford: Oxford University Press. doi: 10.1093/acprof:oso/9780199288427.001.0001. Bellamy, A.J. (2014). Responsibility to protect: a Defence. Oxford: Oxford University Press. doi: 10.1093/acprof:oso/9780198704119.001.0001. Bellamy, A.J. (2015). International Responses to Human Protection Crises: Responsibility to Protect and the Emerging Protection Regime. RCCS Annual Review, 7. doi: 10.4000/rccsar.609. 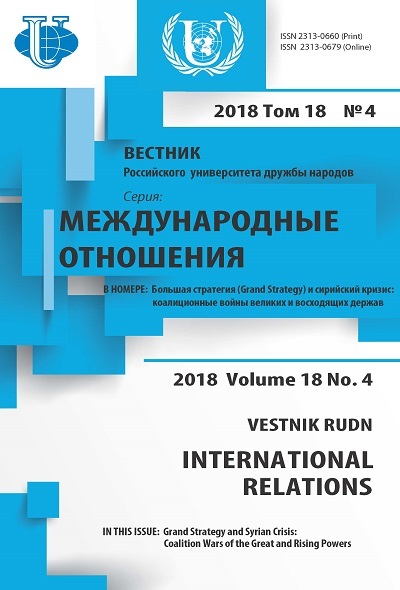 URL: http://journals.openedition.org/rccsar/609 (accessed: 21.11.2018). Bellamy, A.J., Williams, P. & Griffin, S. (2004). Understanding Peacekeeping. 1st ed. United Kingdom: Polity Press. Evans, G. (2008). The Responsibility to Protect: Ending Mass Atrocity Crimes Once and for All. Washington, DC: Brookings Institution Press, September. Luck, E.C. (2018). Why the United Nations Underperforms at Preventing Mass Atrocities. Genocide Studies and Prevention: An International Journal, 11(3), 32-47. doi: 10.5038/19119933.11.3.1516. Ramsey, P. (2002). The Just War: Force and Political Responsibility. Lanham: Rowman and Littlefield. Reike, R. (2012). Libya and the Responsibility to Protect: Lessons for the Prevention of Mass Atrocities. St. Antony’s International Review, 8(1), 122-149. Tesón, F.R. (2001). The Liberal Case for Humanitarian Intervention. FSU College of Law, Public Law Research Paper, 39. doi: 10.2139/ssrn.291661.